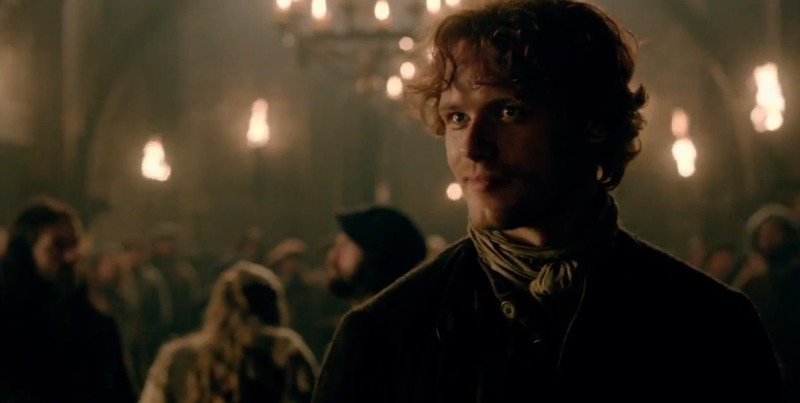 New “Outlander” Trailer From SoHo TV! Oh, happy day! Thanks to SoHo TV, we now have a wonderful new Outlander trailer to feast our eyes upon, and it has loads of lovely new footage featuring Sam, Caitriona, and the gang. Check out all of the wonderful new footage in the video below. Outlander. Trailer #2 from Italian Outlanders on Vimeo. Starz has just released the official trailer for their upcoming adaptation of “Outlander,” based on the best-selling series by Diana Gabaldon, premiering this summer on the network. We are huge fans of the series here at Bookshelf Banter, and are eagerly awaiting anything and everything to do with this amazing series. Eek! Did we mention we were a little obsessed? Check out the new trailer video below, and tell us what you think! Any favorite scenes you’re looking forward to? From Starz: About Outlander: The “Outlander” series spans the genres of romance, science fiction, history, and adventure in one epic tale. 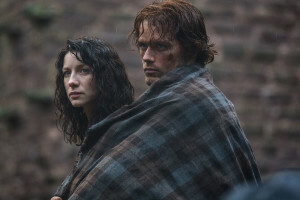 The series, adapted from Diana Gabaldon’s international best-selling books by Ronald D. Moore (“Battlestar Galactica,” “Star Trek: Deep Space Nine,” “Star Trek: The Next Generation”), is currently filming on location in Scotland and is set to premiere on STARZ this Summer. It follows the story of Claire Randall, a married combat nurse from 1945, who is mysteriously swept back in time to 1743. Upon her arrival, she is immediately thrown into an unknown world where her life is threatened. But when she is forced to marry Jamie Fraser, a chivalrous and romantic young Scottish warrior, a passionate relationship is ignited. Now, Claire’s heart is torn between two vastly different men in two irreconcilable lives. For more information go to OutlanderCommunity.com, our Facebook Page, Follow @Outlander_Starz on Twitter and Instagram. Join the conversation with #Outlander and #STARZ.